The news came with tension and fear; I felt it down my spine but I did much to be a man. Enugu is my state of origin and my people did well to boycott that election, had they not boycotted the election; I wonder what the news would have been; by now, scores would have been in mortuary or hospital. I am not taking things for granted because this column has warned people not to come out on any election to avoid casualties. I was of the opinion that the government should first address the civil disobedience by the People of Biafra before going to any poll in Biafran territory. My argument was anchored on the fact that there must be peace to achieve successful poll and the government should not take threats by Niger Delta Militants for granted. The leader of IPOB was the first to officially declare that there won’t be election in Anambra state and Niger Delta militants seconded the declaration. The people of Biafra welcomed his order and every agitating group endorsed the order except compromised BIM. 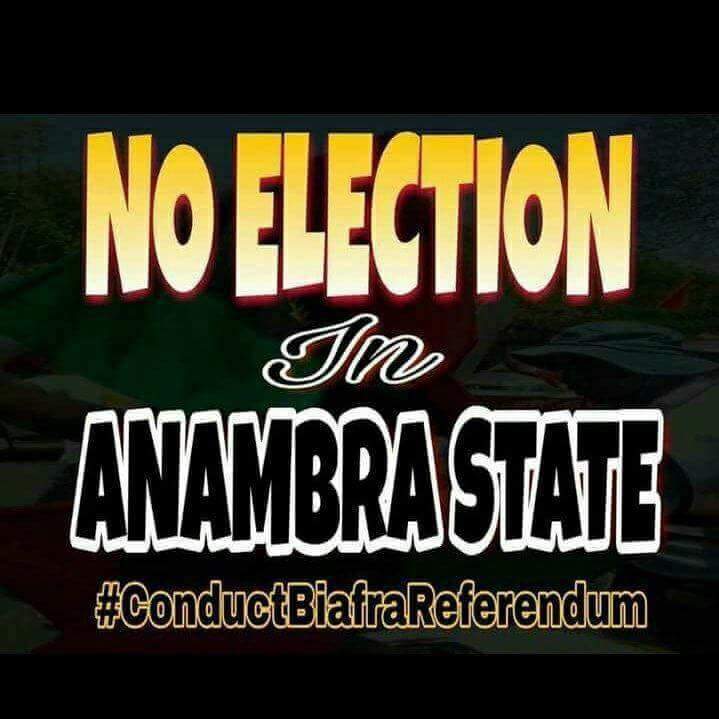 The campaign for no election gradually gained momentum and no election saturated Biafran territory. Since this position was taken by the people of Biafra; the government is mobilizing its forces to possibly attack citizens for the sake of their different political belief. Let me first declare that I share the pains of the victims of the bomb explosions and my thoughts are with their families. Had they identified with my column on dangers of coming out for election, they wouldn’t have come out to risk their lives. I earlier said that we have the responsibility of saving lives today; we save life by making sure investigative columns got to every Biafran. 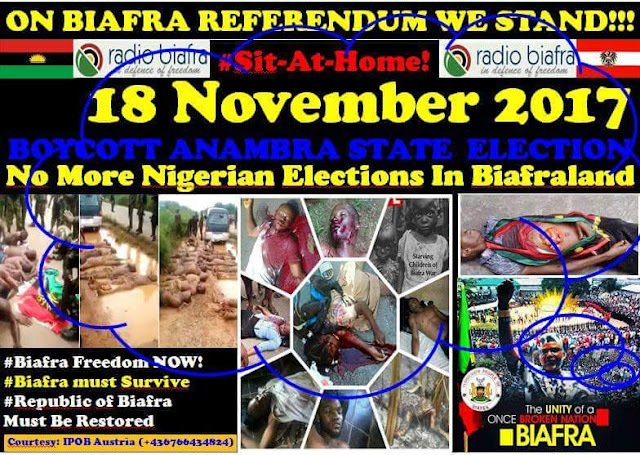 Anybody that comes out on any election may likely have himself to blame because election will be bloody due to Nigerian murderous forces will take advantage of it to strike the people of Biafra. However; if Enugu council election that was not given attention could come with bomb explosions; then I fear that even more bomb explosions will follow Anambra state election. I am not a prophet of doom as most politicians that put their political career first would say. It is pertinent to always have at the back of your mind that your life means nothing to these money bag politicians. They don’t worth the risk as whatsoever you risk will end up with them misappropriating and embezzling funds. As the news of the bomb were going viral, Politicians in Enugu state quickly said that there was no bomb explosion even as three people were hospitalized as a result of the explosion. Nigerian police force quickly ruled out any bomb attack even as they later claimed arrest was made. They denied and made after-thought arrest because they are behind the killing of the people of Biafra. They killed innocent people of Biafra that gathered at Nkpor even when they have not tagged them terrorist. They killed them in Aba high school, and Delta state, Igweocha (Portharcourt) and many places and we are Indigenous People of Biafra being killed on daily basis. The big question is now they have tagged every Biafran in old Eastern region terrorists; wouldn’t they kill comfortably than before? Congregating anywhere is a threat; the atmosphere on 18th will also be deadly, those tagged terrorists are the same people expected to come and vote and in actual sense, terrorists don’t vote but get killed. Our people will be arrested while going to polling centers and bombed while in polling booths. Every Biafran is a suspect and our lives are hanging on a balance should we dare try to participate on 18th November election without suing for action before the exercise. Enugu bomb explosion is a tip of an iceberg of what is to come to Anambra state; we must put our lives first because these politicians don’t worth our lives. Anambra state is the main target and Enugu is a test run that successfully worked out for them. Hence they arrested innocent journalists instead of looking for the bombers; this will give the perpetrators the momentum to carry out the main onslaught against our people in Anambra state. Anambra state potential bomb explosions will be more severe and this is more of the reason to save your life by staying indoors. I am not casting fear upon you; I am only precautionary writing, because life has no duplicate. If bombs went off in ordinary council election; the rate that will go off in governorship election will be devastating. At this point; every Biafran life is important to the people of Biafra, we must not continue to lose our lives for nothing. Our existence means nothing to them; our vote is simply to enrich them and buy them more cars and houses. Our votes don’t get us good roads; infrastructures or social amenities; we must not expose ourselves to the potential bomb explosions that would face Anambra state election. Finally; Enugu election bomb explosion is a clear highlight of what Anambra state election would be and the three victims of that explosion will be crying had they know. Had they know; they won’t have come out to participate in a fraudulent election that gives them power to command soldiers to kill us. Had they have taken my advice; they won’t be lying on a hospital bed. Just like them; if you don’t take my advice over Anambra state election, you could be even in a more deadly situation. But hopefully; we shall all stay at home for the purpose of our safety.